Copiers are made to handle specific types of jobs. If you have a powerful machine then it will be able to handle normal document printing just fine, but customizing your copier for the job at hand will help you get the most out of your prints. Many people never use all the features offered by their copier. 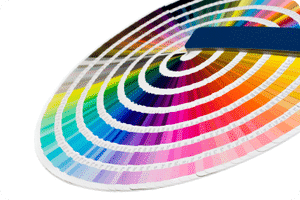 At Denver Copier we want to make it easy to maximize your color prints. olution of around 1200 x 1200 dpi or 1800 x 600 dpi. If you have a very high-tech machine then it may even reach 1200 x 2400 dpi. The more dpi, the better the image will look. Change your driver from text to photo. Optimize your copier by letting it know that you are going to be needing the extra capacity for a photo. Set print driver to full color. This will let you access a greater range of colors than just your standard color pallet. Use the Adobe PostScript print driver. This will come standard with most Xerox copiers. Adobe PostScript will transfer your green, blue, and red colors into cyan, magenta, yellow and black values. This will help you get a wider selection of colors that will make it look more realistic. Make sure you are using a high resolution format. JPEG, PDF, and PNG will work better than TIFF or Bitmap photo. If you follow these steps then you will be able to get better images than ever before. If you prime your copier for the job at hand then you can truly maximize your color prints.